Get tutoring in accounting, finance, economics, or statistics from an adjunct professor who explains the material very clearly. I tutor both executives and students. People are surprised at how quickly they can learn these subjects once they are given a clear explanation. I have over 20 years of experience tutoring accounting, finance, economics and statistics. I have a master's degree in accounting, and I currently teach statistics, accounting, and finance at local colleges, where students have given me great evaluations. I have taught college level courses in small business management, operations management, management science, accounting, accounting software, and finance, and I have run my own business for over 20 years. I explain all of these subjects very clearly. I have taught a course in finance as an adjunct professor at Nichols College, and I have tutored students in this subject for over 20 years. I am able to explain difficult concepts in finance in simple terms that students easily understand. Students tell me that they like the way I explain this subject very clearly. I can explain how to use a financial calculator, which is usually an essential tool for finance students, and I am a successful stock market investor. I have a master's degree in accounting from Bentley University, and I have taught accounting for a total of 16 years as an adjunct professor at Mount Ida College and then at Nichols College. Students are often baffled by accounting because their teachers do not explain it very well. Students tell me they are surprised at how much easier the subject is once I have explained it, because I explain it very clearly. I tutor both financial and managerial accounting. 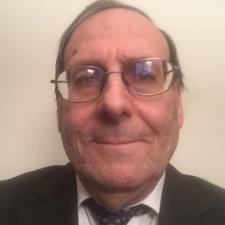 I have taught economics courses at the university of Massachusetts in Lowell, Mount Ida College, and Nichols College, and I have tutored several students in this subject. Students tell me that I explain the subject very clearly. I took a course in economics at Johns Hopkins and my grade was an A.
I have a master's degree in accountng, and I have several times taught a course at Nichols College in the use of QuickBooks accounting software. I also teach accounting courses at that school, and I explain things very clearly. I have taught an introductory level statistics course at the University of Massachusetts in Lowell for 10 years, and the students there have given me very high ratings on a website that rates professors because I explain the subject very clearly. Students tell me they are surprised at how quickly and easily they learn this subject when I explain it to them. I have been an adjunct math professor for many years at the University of Massachusetts in Lowell where I teach a branch of mathematics known as statistics. I am very knowledgeable about algebra and prealgebra, which is one reason why I received a 761 score on the SAT math test. I am confident that George can tutor just about any kind of student in the subject of statistics. I went into my introductory business statistics course with a negative attitude. I had already attempted the class during a previous semester, but dropped out of the class because I had no understanding of the material. After a single one hour meeting with George, I understood more about statistics than I had during my 6 week attendance of class during a previous semester. I have continued to see George and since have received an average of 96% on all of my exams and homework assignments. I highly recommend George to anybody who thinks that statistics is too complicated for them and overly frustrating. George puts it all into a great perspective and patiently waits for you to understand the material before moving on. He is an expert in statistics, and answers the questions efficiently and effectively. He is dedicated in teaching, even purchasing the review book. Awesome teacher! George is an excellent tutor who presents material in a way that is understandable and at your level. Finance is not my strong suit, but George is patient and uses terminology that I can relate to for better clarity. George is very knowledgeable. He made the concepts easy to learn. I plan on using him this semester. With his help I am confident that I can do well in my managerial accounting course. I'm very impressed with how George manages to help me even when I'm having internet troubles. It's also impressive how quickly he can think of a way to explain a problem to you. Besides that, he explains everything in a way that will not only help you solve the current problem but also future problems on that topic as well. He has a lot of his own examples to supplement your questions. George was thorough and made the concepts easy to understand. I will be contacting him soon for more lessons. He broke equations down into simplest form making difficult equations easy to grasp.George was great! First Session with George was an easy session. Not as in easy material, but Easy as in I was comfortable expressing my concerns and asking questions without feeling stupid. He explained things until I understood and frequently stopped if I was understanding his explanation. Thanks, George. George went over a subject that I originally found difficult when I first attempted to learn it in class but with his teaching I found it quite simple. I will definitely request his assistance in the near future.